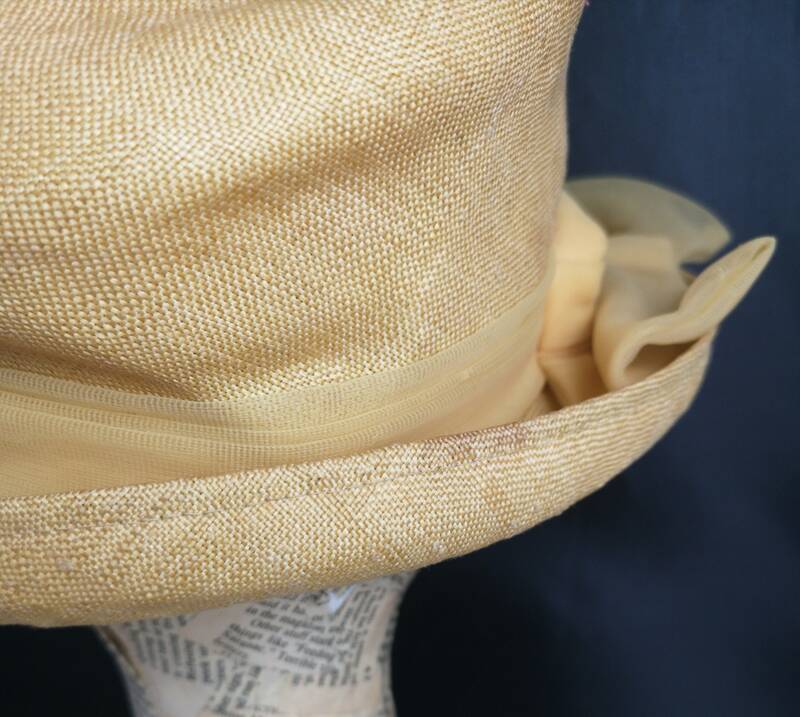 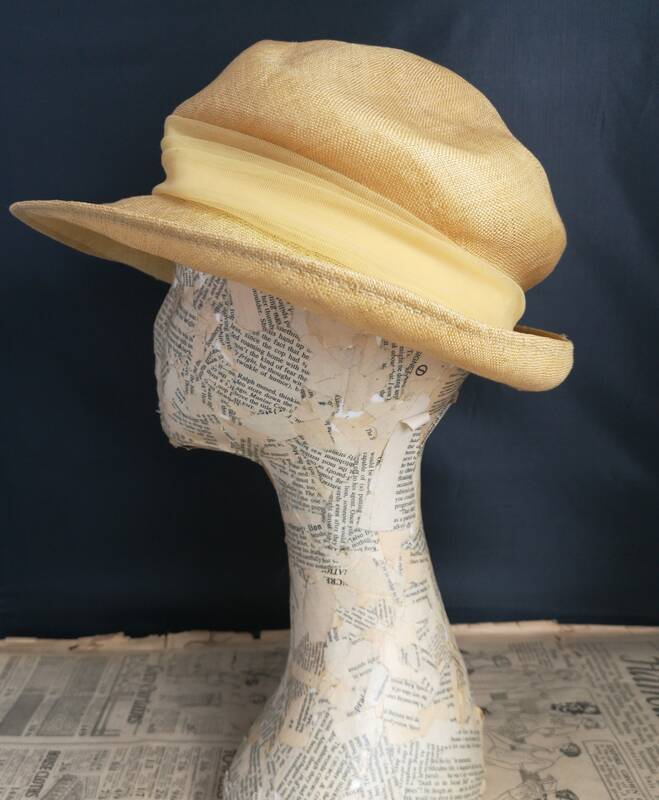 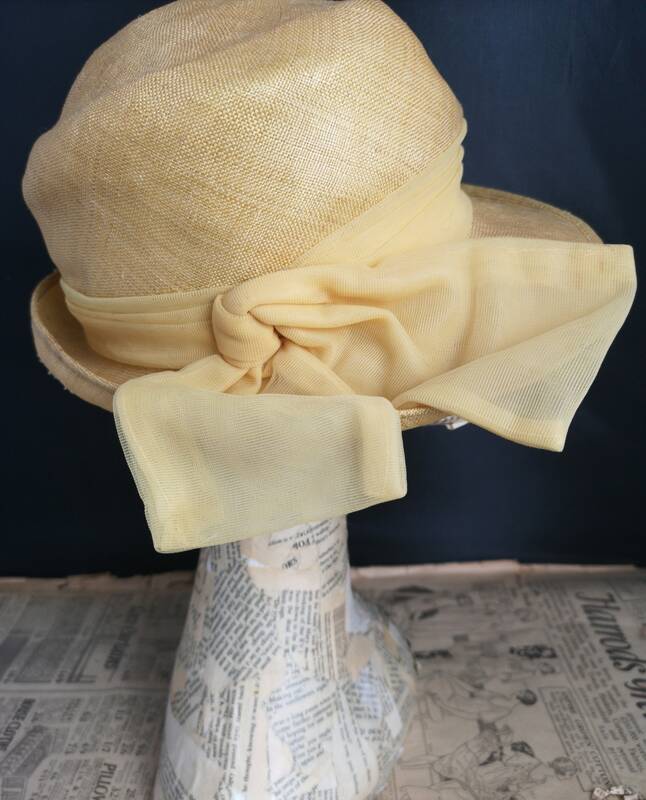 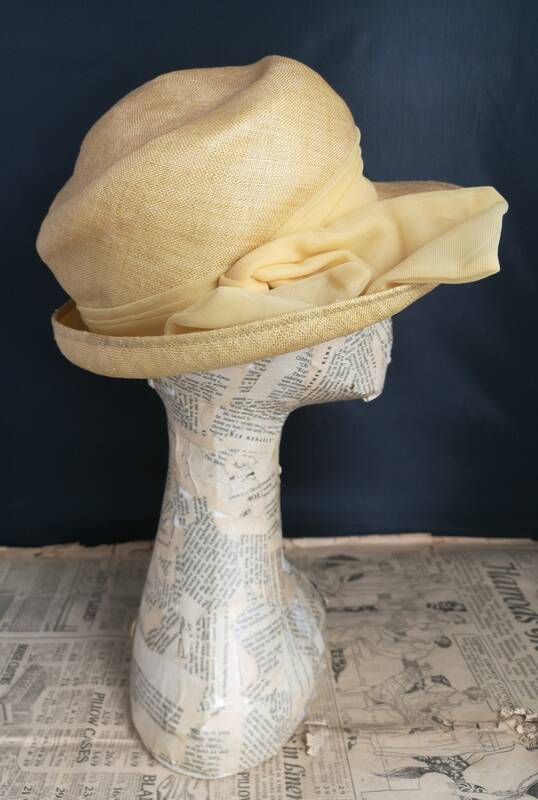 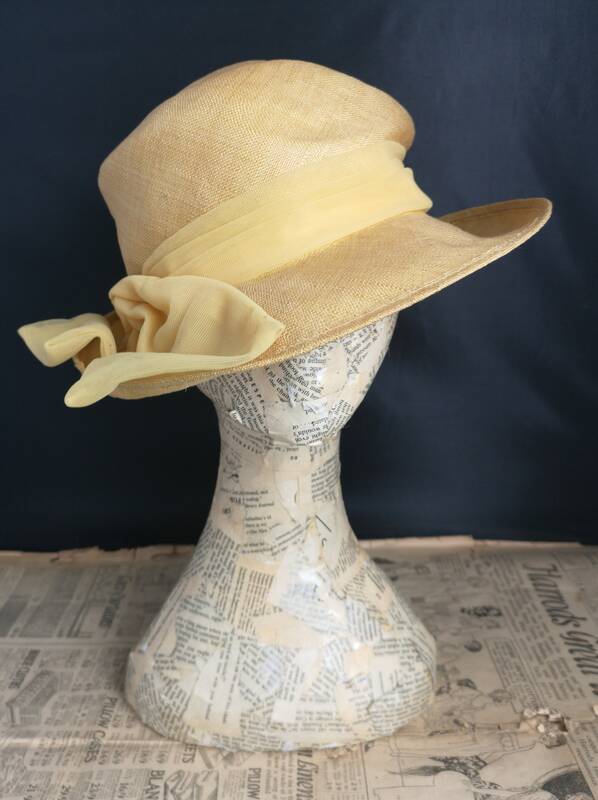 An unusual vintage 1940's straw / sisal hat in a dusky mustard yellow. 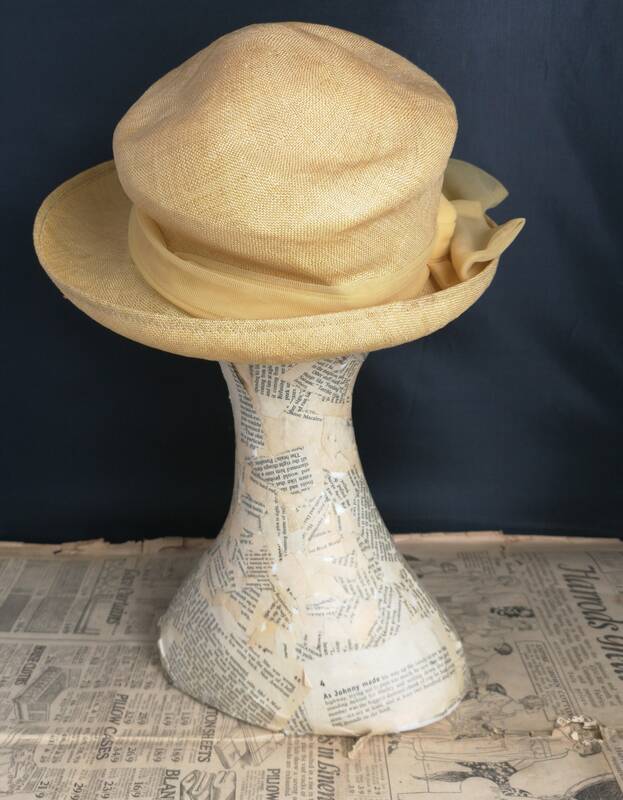 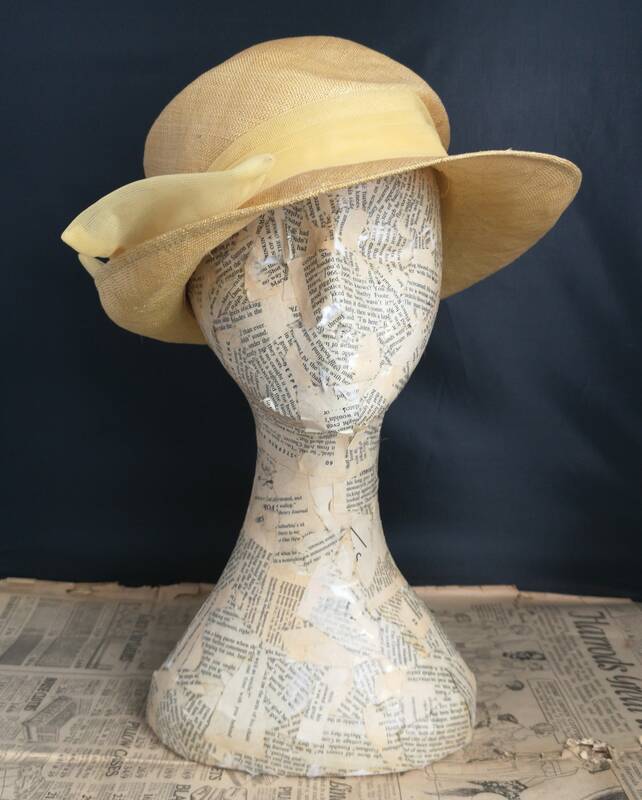 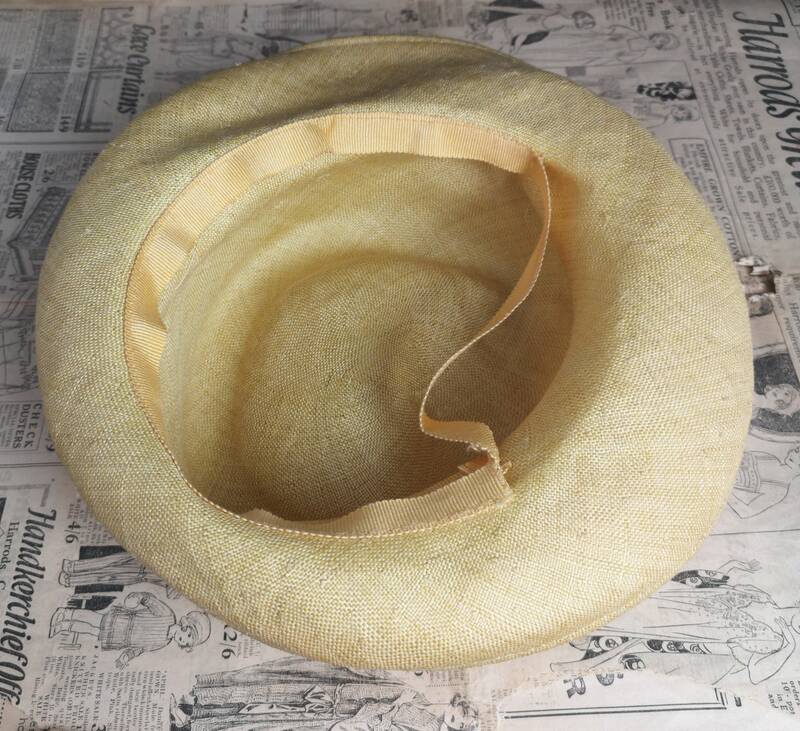 It is a summer type hat but with a pork pie shape to it, it has a chiffon band tied around which collects into a bow. 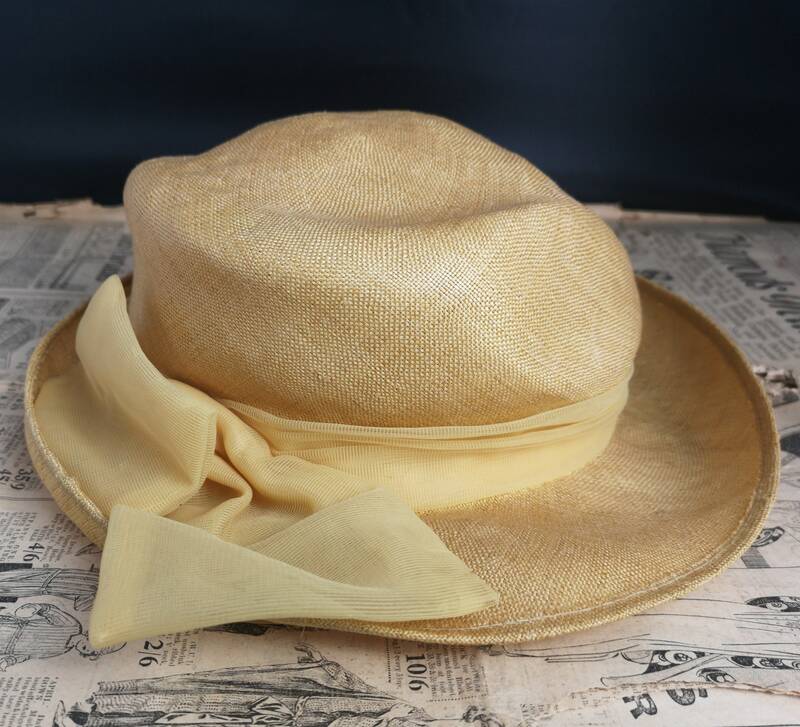 This vintage 40s hat is in good condition, the inner cotton band has come away on one side and there is a small brown mark.